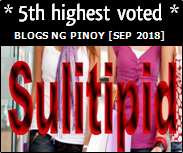 BLOGS NG PINOY: Magpalista na sa BNP! Step 1 - You must agree to the following Terms and Conditions. Your blog must be active or have at least 1 significant post. Your blog should NOT contain pornographic/explicit adult/satanic content; it should NOT promote illegal activities. Your blog should NOT be private or requires viewers to register/sign-in in order to view your blog. Your current blog URL should match the Blog URL you've submitted. Should your blog URL change, kindly resubmit another registration, otherwise, your previously submitted blog may be removed from the listings. You allow BNP to post comments on your blog regarding site updates. BNP reserves the right to change/modify your submitted Blog Title and/or Blog Description, and to assign your submitted blog to its appropriated category. BNP must be linked to your blog using any of the badges below and should be easily visible and directly links to BNP, otherwise, your blog may not be approved/may be removed from the listings. BNP will regularly visit your blog to check if it conforms with the above Terms and Conditions and may be removed from the listings if it does not. Blogs that no longer exist may be removed from the listings. BNP reserves the right to refuse acceptance of any blog registration or remove any blog in the listings at any time without any reason whatsoever. If your blog is removed, you would need to resubmit another registration should you want your blog to be a part of the listings again. 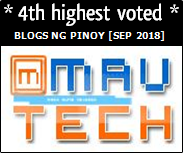 BlogsNgPinoy, its owners and staff do not represent the blogs and/or websites and their owners listed here and therefore shall not be held liable for any unlawful and/or undesirable activities coming from the blogs and their owners. These terms may change without prior notice. 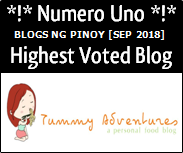 Step 2 - Please link BLOGS NG PINOY to your blog/website using any of the badges below. Kindly make sure that the badge / link is easily visible and that it directly links to BNP. Step 3 - Fill up the following form. 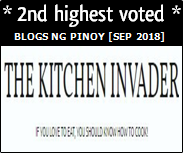 AVOID using ALL CAPS unless it's an abbreviation, otherwise, your blog registration may NOT be approved. It's that easy! So what are you waiting for? 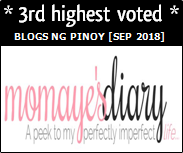 Join BLOGS NG PINOY now!